It’s tough for asylum-seekers to keep their hopes up in Japan, where only 1 in every 1,000 applicants was granted refugee status last year. While waiting, which takes more than 10 months on average, they practically have nothing to do. Only those whom the Justice Ministry deems highly likely to be refugees are allowed to find work after the two-month initial screening. 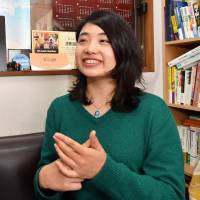 But instead of lamenting labor-scarce Japan’s notoriously strict policy, Sayaka Watanabe, 27, focuses on how to integrate asylum-seekers with society sooner by offering them a place to stay and finding jobs for those eligible to work. 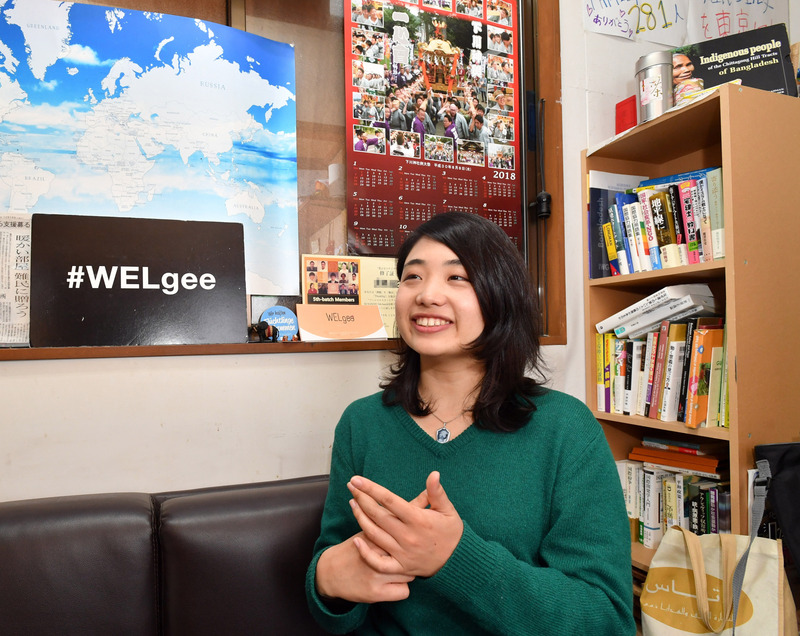 In 2016 Watanabe founded Welgee (a combination of “welcome” and “refugee”) to offer services for asylum-seekers. These include finding host families, building “share houses” for asylum-seekers to stay at, and finding jobs for those with working visas. A graduate student studying human security at the University of Tokyo, Watanabe started the project on a trial basis by arranging for a young asylum-seeker from Congo she befriended to stay at her parents’ home. “I didn’t expect the first attempt to work perfectly. But making the first successful match was all I needed to declare that I started a homestay service for asylum-seekers,” she said. Once the service kicked off, she received a flood of requests from applicants who had heard about it through word of mouth. Since then, more than 20 people have been matched with some 50 registered host families, and the waiting list is growing. Through her homestay program, which usually takes at least a week to interview both applicant and host family to ensure a good match, she became intensely aware of the need for shelters. “Many applicants are homeless. I could not tell them to sleep outside for a week while the matching process was underway, so we let them sleep at our office occasionally,” Watanabe explained. When Welgee kicked off a crowdfunding effort to rent a house to shelter them, it collected over ¥3.9 million in three weeks, almost four times its ¥1 million goal. Welgee, which was registered as a nonprofit organization in February, then used the funds to purchase an old abandoned house in Oami, Chiba Prefecture. The house is being renovated with help from Japanese volunteers and the applicants themselves. Another shelter, which opened in Tokyo in December, is open not only to asylum-seekers but also to anyone who needs a place to sleep. Watanabe and two other executive members of Welgee are living there with an asylum-seeker from Angola. “One time, a 20-year-old Malaysian man who came to Japan with the help of a broker stayed while waiting to be repatriated to his country. 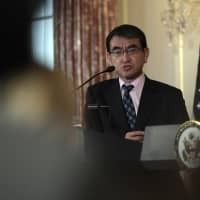 At another time, asylum-seekers who became ill from sleeping on the cold floors of their mosques stayed here until they recovered,” Watanabe said. So far, 68 people including asylum-seekers and Japanese have taken temporary refuge at the shelter. 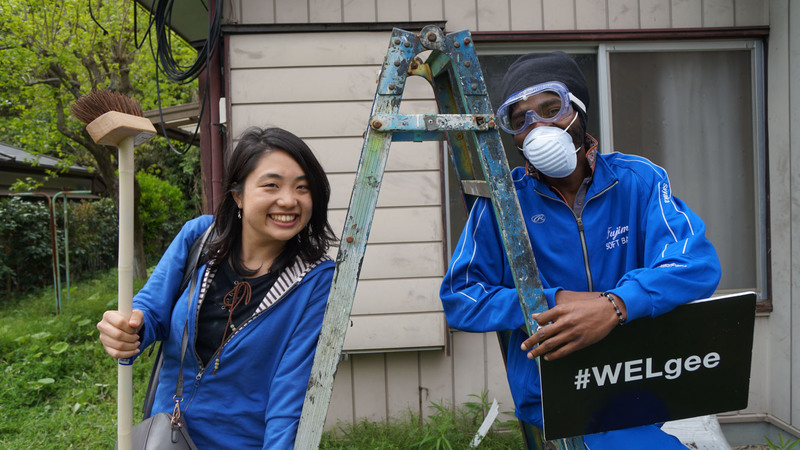 In the Chiba house, Welgee occasionally holds work camps at which the refugees and applicants, called international members, conduct renovations together with the volunteers and discuss the problems faced in their daily lives. For Watanabe, Welgee is not just about offering support. It’s also about creating an inclusive society, she said. “Our goal is to foster a relationship in which Japanese participants and applicants call each other by their first names,” she said. Impressed by Watanabe’s project, the Tokyo branch of the United Nations High Commissioner for Refugees (UNHCR) invited her to give a presentation during a World Refugee Day symposium at United Nations University in Shibuya Ward last year. In March, she won the Woman Entrepreneur of the Year award for 2018 from French venture capital firm INCO for her groundbreaking way of integrating refugees into Japan. For Watanabe, caring for the socially marginalized has always been part of her life. Her parents run an NPO in Shizuoka Prefecture for students who stop going to school. As she grew up, social work became her passion. But it was a trip to Bangladesh that shifted her focus to refugees. When she was in her third year studying at Shizuoka University of Art and Culture, Watanabe went to Bangladesh as part of her school fieldwork. After the two-week program, she headed on her own to the Chittagong Hill Tracts, a region in the southeastern part of the country where the Chakma ethnic minority had been clashing for decades with the Bengali government over land rights and autonomy. There, Watanabe witnessed the deep scars the conflict had left on the Chakma community even after a peace accord was signed in 1997. She was astonished by the many orphans. “That was the first time I learned that there are people who are not protected by their government,” Watanabe said. She was determined to effect change. Watanabe took time off from school, headed back to the Chakma community and started a child sponsorship program that allows Japanese donors to fund Chakma orphans, making it possible for them to get access to proper education. During the two years she spent in the Chittagong Hill Tracts, she mastered the local language and interned at a female empowerment project run there by the United Nations Development Programme. By conducting interviews and listening to the complaints of thousands of community members, she learned how outside drought-alleviation programs sponsored by well-intentioned outsiders ended up jeopardizing their traditional lifestyles and community harmony. “True stories, many quite different from what I read in my textbooks, always come out from conversations with local citizens,” Watanabe said. However, her path hasn’t always been so smooth. Back in Japan, Watanabe, after being selected as one of the first students to attend Makers University, an educational facility that runs an intensive workshop for young, potential entrepreneurs, offered a presentation on asylum-seekers in Japan. With her fellow students, she proposed that asylum-seekers be allowed to settle in depopulated towns and villages, only to be harshly criticized by other students and teachers for failing to consider the possibility that some could be terrorists and for lacking knowledge on the refugee application system in Japan. The lesson there, she realized, was that she hadn’t interviewed any asylum-seekers for the presentation, contrary to what she had been doing in Bangladesh. And then she remembered that the best way to determine their needs was to ask them directly. So Watanabe started making contact, starting with a human rights activist who had been granted refugee status in Japan after fleeing the Chittagong Hill Tracts. “When I met new refugees and applicants, I asked them to introduce me to two of their friends. And since most of them are also applicants, I immediately made a dozen friends who were applying for refugee status,” she explained. 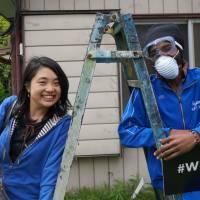 Having achieved two of its three objectives — talking and living with refugees — Welgee is now pursuing the last one: working with them. The project involves starting a service to match refugee applicants who have work visas with companies seeking skilled foreign workers. Under the system, two refugees have found jobs at information technology companies, one of whom learned programming from scratch as an intern and was later asked to go full time. 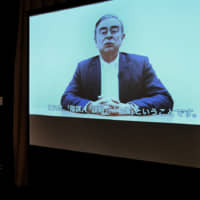 Watanabe doesn’t view asylum-seekers as needy people. She says they are individuals with skills, knowledge and potential that labor-scarce Japan can benefit from. 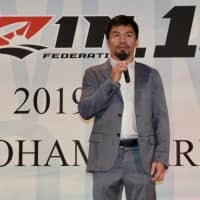 “What we want to do is to give these international people who want to stay in Japan an opportunity and maximize their potential,” Watanabe said. “Generational Change” is a series of interviews profiling people in various fields who are taking a leading role in bringing about changes in society. 2010 — Enrolls at Shizuoka University of Art and Culture. 2013 — Starts NPO offering educational support to indigenous children in Chittagong Hill Tracts of Bangladesh. 2014 — Interns at United Nations Development Programme in Chittagong Hill Tracts. 2016 — Enters Makers University. 2016 — Enters University of Tokyo’s graduate program on human security. 2017 — Starts offering accommodations to refugees in Tokyo and Chiba Prefecture. 2018 — Starts job-matching service for refugees. 2018 — Receives Woman Entrepreneur of the Year Award 2018.